Michael Caton is a well-known name to every Australian household. In the 1970's he leapt to fame as the popular Uncle Harry in The Sullivans, and since then movies such as The Castle, The Animal and Strange Bedfellows have cemented him as Australia's number one comedy actor. In 2004 he received the Australian Comedy Actor of the Year award. Michael can be seen regularly hosting the successful Hot Property as well as the much loved series Packed to the Rafters, but while he is now known for his TV and film work, like the troupe of NTT, Michael's roots lie firmly in live theatre. 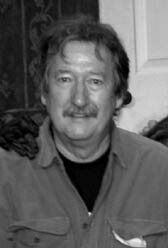 We are proud to have Michael Caton as our Patron. 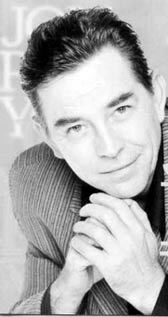 John Paul Young, or JPY as he is known to leagues of fans, was undoubtedly one of the most popular solo artists of Australian music in the 1970's. A regular on Countdown, he got his start in the ground breaking musical Jesus Christ Superstar, and released a string of hits in the ensuing decades, including Pasadena, Yesterday's Hero, Standing in the Rain, Soldier of Fortune and I Hate the Music. His most popular hit, Love is in the Air, became a favourite of a second generation when it was featured in the 1992 film, Strictly Ballroom. John continues to perform regularly, and recently returned to his roots by starring in Leader of the Pack - the Ellie Greenwich musical. NTT is proud to have John as our Patron. 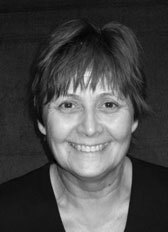 Carol has been artistic director / producer of NTT Productions since 1997. She has a background in theatre spanning forty years. In that time she has done everything from performance to design and making costumes and sets, to publicity and lighting. She trained in direction with the National Institute of Dramatic Art.